According to a Q1 2017 equity report by Corelogic, "Homeowners equity increased by $766 billion over the last year." 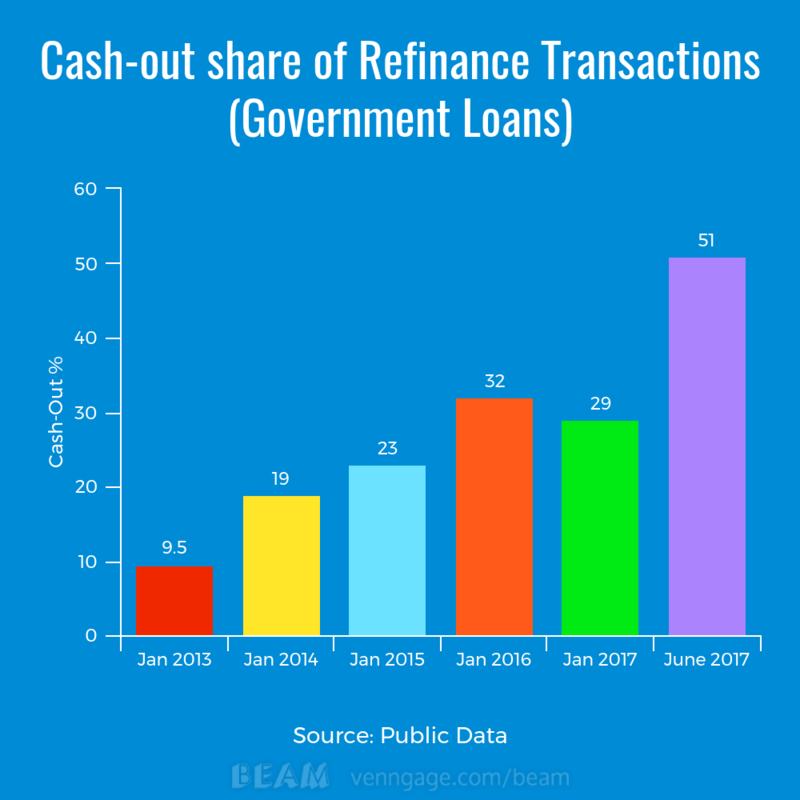 Just last month (June) 50% of refinance transactions were cash-out!! Whether it's for a debt consolidation or home improvement, cash-out transaction are hot and steamy this summer!